A high altitude-growing passion fruit, the curuba or taxo. Today's article is a monograph, which means that the subject is only one plant species and as stated in the title it is about the curuba or taxo. 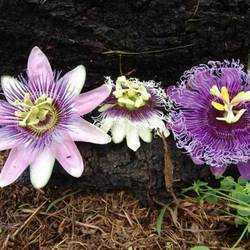 A previous article introduced the reader to the vast world of passionflowers (Passifloraceae) which stated that this family groups about 465 different species further divided into 24 subgenera. Among them is the Tacsonia subgenera, with some 55 species grouped in 10 sections. Though all this may sound quite subtle and even rather obscure to many gardeners, it is of high importance to clearly classify plants and understand the relations and evolutions between them within a given family. 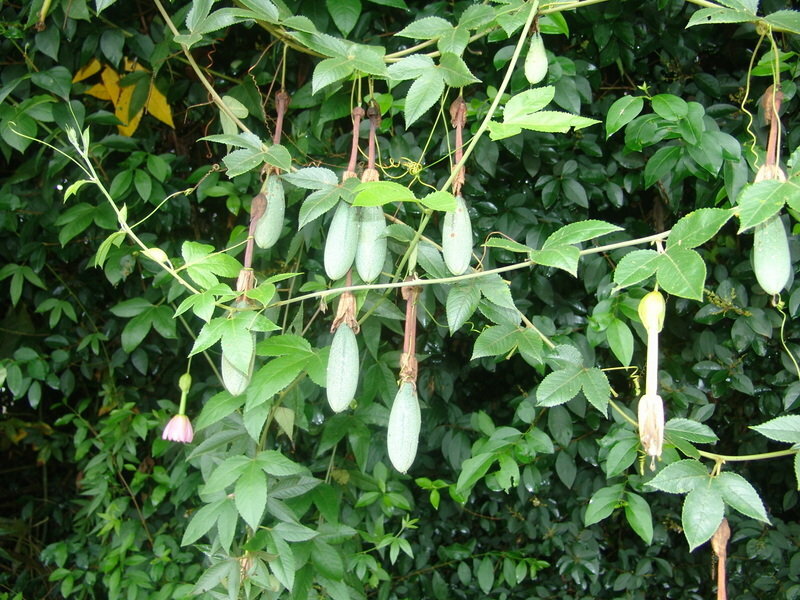 Anyway, our interest will indeed focus on a member of the Tacsonia subgenus, Passiflora tarminiana. 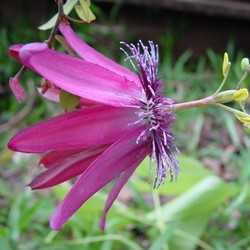 This plant is often confused with and misnamed Passiflora mollissima or Passiflora tripartita var. mollissima. 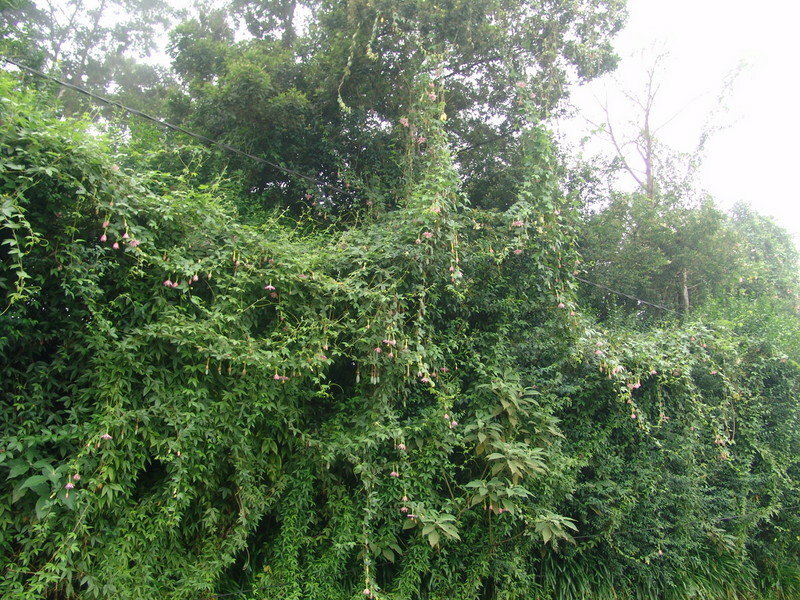 It is a vigorous vine with a rounded stem. able to reach ten meters (33 feet) in length. The leaves are three-lobed with a serrated margin and minute hairs which produce a soft pubescence. The flowers are very showy, pendulous at the end of a long peduncle (60mm or 2 to 3 inches) and display pink to coral pink sepals and petals, both almost of the same length (30 to 45mm). Those flowers are highly decorative and a welcome addition in garden. The corona filaments (a typical feature amongst passionflowers), is here reduced to rounded short tubercles, whitish to pale pink. The reduced filaments are a common thing for members of the Tacsonia subgenus, and an easy way to classify them at first look. Fruits differ a lot from the usual passion fruits sold in markets as they do not have a spherical or ovoid shape but instead are oblong, up to 100mm (4 inches) long and 35mm (1 inch) wide, with a soft skin turning yellow to orange when ripe. 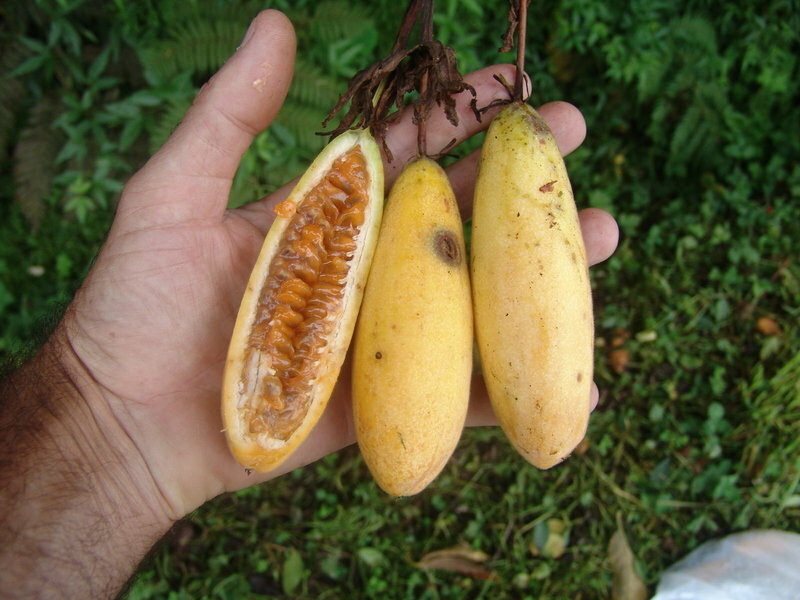 They look much more like a small banana than a granadilla, weighing between 50 and 100g each. The flesh is orange and full of black seeds. The fruits are a common sight on South American street markets and called by a variety of names such as ‘curuba, taxo, granadilla Cimarron, tintin, tumbo, trompos', depending on the country. But though this fruit is good when turned into juices, it is not that great eaten out of hand because of the very numerous seeds which have a rather unpleasant taste when crushed by the teeth. Commercial growing was soon abandoned but as a few vines persisted here and there, the plant has now escaped in the wild and I did stumble twice on vines while roaming in the cloud forests. 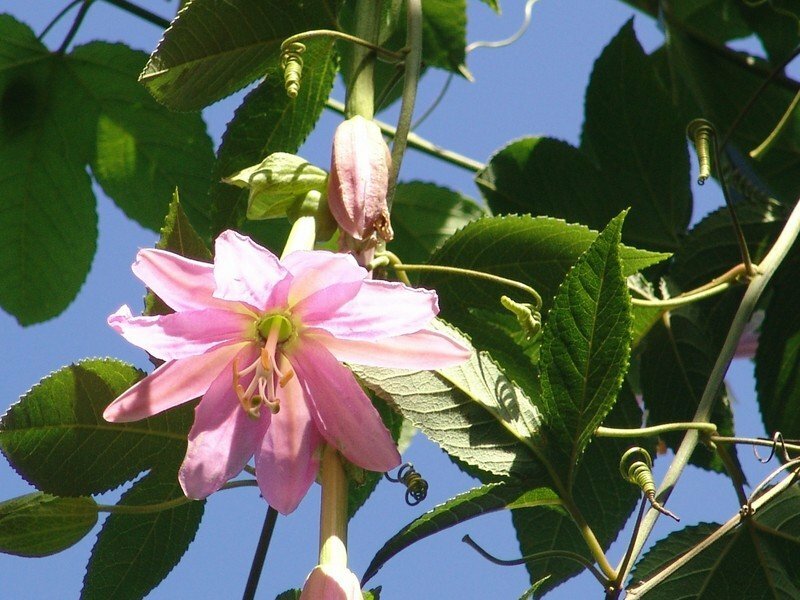 In the wild, P. tarminiana often grows close enough to other species of Tacsonia and has therefore often hybridized with them thus giving birth to many plants hard to distinguish and name, a very maddening situation for botanists and passion flowers enthusiasts traveling in South America. Growing this plant will require for the enthusiast to bear in mind the natural settings where it is found. 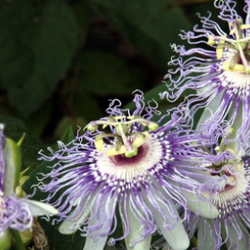 It will not be as fussy regarding temperatures as most passionflowers which have definite tropical requirements as it comes from mountainous areas; hence it will tolerate cooler climates than its sisters from lowland Amazonia or Yucatan. It will only need frost protection during winter if you are in temperate areas although it will stand temperatures down to -2°C for short periods. At the opposite end of the spectrum, it will suffer from high and dry temperatures which can be easily reached in a glasshouse with poor ventilation. Even if you are not fond of the fruits, the flowers themselves make it worth growing. 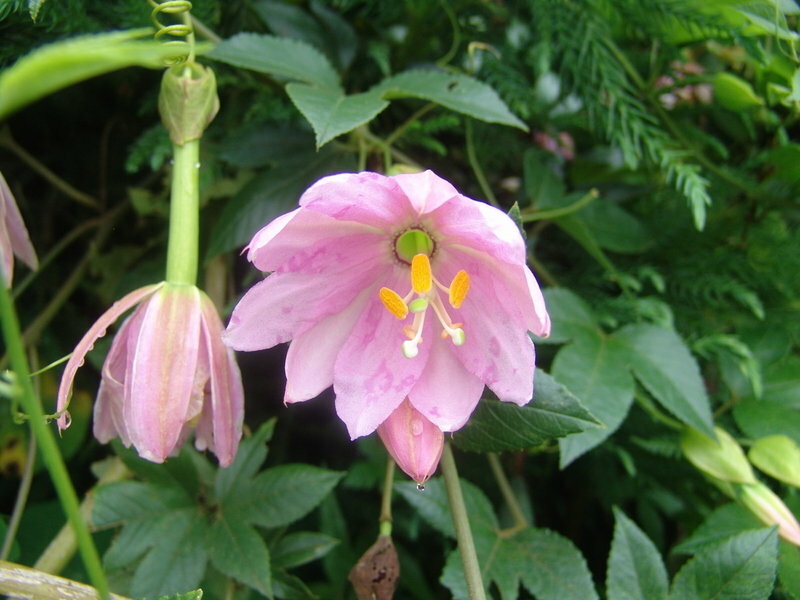 They only stay open for a day (like the majority of passionflowers) but the delicate pink color and paper-like aspects of the sepals and petals suffice to bring marvel to your garden.